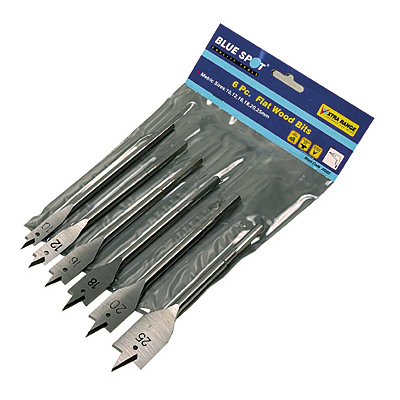 Excellent set of 6pc metric flat wood bits from Blue Spot Tools. 1/4'' hex shaft for use with electric and battery drills. Can be used on most timbers. Sizes include: 10mm, 12mm, 16mm, 18mm, 20mm and 25mm. Complete with a PVC storage pouch for when not in use. A very practical set of flat wood bits.